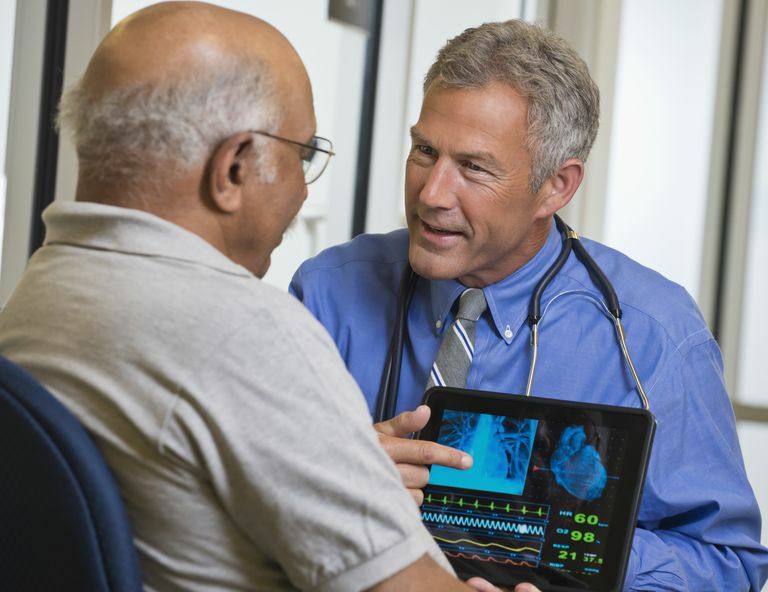 Cardiologist consultations are typically recommended by a patient's primary care physician in response to either heightened risk factors for cardiovascular disease or symptoms that indicate it may already be present. Because heart disease is America's number one killer—affecting 80 million people—physicians are keenly aware of the stakes in detecting or diagnosing it. Major risk factors for heart disease, such as one or more immediate family members being affected as well as high blood pressure or cholesterol readings, may prompt your primary physician to refer you to a cardiologist. This referral may result in either a one-time visit or ongoing care, depending on the results. A strong family history of heart disease, for example, may be the catalyst for an evaluation or for low-level tests to check heart function. If results prove normal, you may continue to be monitored by your primary care physician. More ominous findings, however, may spur further testing that can result in long-term cardiology care. You can estimate your own risk for heart disease. The field of cardiology has several subspecialties in which the cardiologist concentrates on specific heart problems. A patient's particular heart problem dictates which type of cardiologist is needed. Echocardiographers, who use equipment to create images of the heart in motion by the use of sound waves. These images can show how well the heart is pumping and if the valves are working normally or not. Preventive cardiology is also a subspecialty. Many hospitals across the United States devote outpatient centers seek to prevent cardiac events by helping patients with lifestyle issues, such as weight, exercise or smoking. A retrospective clinical study, published in the 2007 journal, Preventive Cardiology, demonstrated that patients who participated in such programs had reduced cardiac risks. "Caring for Your Heart: Do You Have the Facts?." mcacc.org. 2008. Massachusetts Chapter, American College of Cardiology. Taveira, Tracey H., Wen-Chih Wu, Oanh J. Martin, Mark D. Schleinitz, Peter Friedmann, and Satish C. Sharma. "Pharmacist-Led Cardiac Risk Reduction Model." Preventive Cardiology 9:4(2007): 202-208. "The Ciccarone Center for the Prevention of Heart Disease." hopkinshospital.org. 2008. Johns Hopkins Medicine. "When Should You See a Cardiologist?" acc.org. 12 Mar. 2008. American College of Cardiology.